Welcome to our Anti-Bullying section of the website. We aim for this section to expand over the years as we further develop our anti-bullying work within the school. 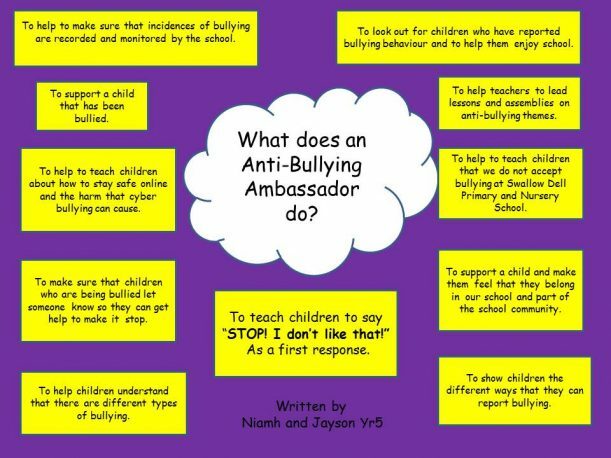 Initially two KS2 pupils were appointed as the school’s Anti-Bullying Ambassadors. In their first meeting, they discussed what they thought their role entailed and how they could help other children within the school. 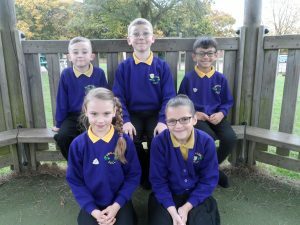 Since the meeting, they have shared the role with four other children representing Year’s 3 & 4, who had been invited to join the group. Swallow Dell has an Anti-bullying Steering Committee which meets once or twice every half term to talk about how to further develop our anti-bullying work in school. We would like to invite parents to join this group. If you are interested, then please contact Mrs. Ginger. Then children have also produced their version of the school’s anti-bullying policy.